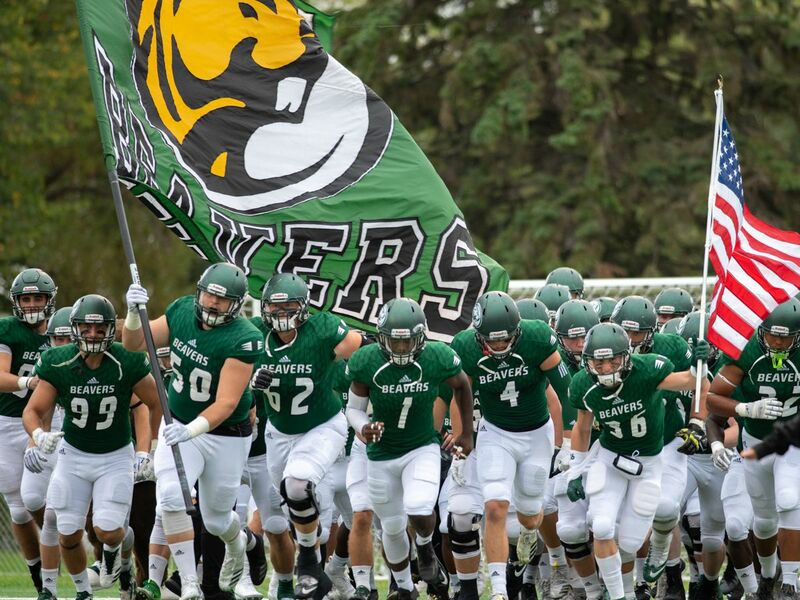 The Bemidji State University football program returns to Chet Anderson Stadium at 2 p.m. Saturday, Oct. 6 for Homecoming against (RV) University of Sioux Falls. The Beavers host the Cougars on Homecoming for the first time in program history and have won their last eight Homecoming games overall. Sioux Falls holds a 4-1 lead in the series against Bemidji State. BSU took its only win of the series in Bemidji, Minn., Sept. 3, 1983, a 31-0 shutout victory. The series began Sept. 4, 1982, a 14-12 win by Sioux Falls. The Cougars beat the Beavers in their most recent matchup, 37-36, after a missed two-point conversion by BSU in 2016. Bemidji State got back into the win column with a 27-10 decision over Wayne State College. BSU earned its first win under head coach Brent Bolte while scoring 20-27 points. All but two of BSU’s 21 wins under Bolte have come with at least 30 points on the scoreboard. Senior defensive back Gunner Olszewski earned NSIC Special Teams Player of the Week after totaling 118 return yards (64 kickoff/54 punt), including a 38 yard punt return that he pitched to junior defensive back Michael Junker who ran 56 yards for a touchdown. The special teams award is Olszewski’s fifth overall Player of the Week honor. Olszewski ranks third in the nation with a 25.1 punt return average and three punt returns of more than 35 yards on the season. Olszewski ranks second in BSU history with 884 career punt return yards and fifth with 11 interceptions. He also ranks 10th all-time at BSU in total tackles, coming into Saturday’s game against Sioux Falls with 288. Junker has now single-handedly or combined for two 94+ yard touchdowns this season after returning a 100-yard interception for a touchdown against Univeristy of Minnesota Crookston. The Beavers continue to be perfect in the red zone, scoring three touchdowns within the 20-yardline against the Wildcats. BSU is one of four teams with a perfect red zone offense, and leads those teams with 22 red zone trips. BSU’s red zone defense is also tops in the nation, leading with a 44.4 percent red zone defense. The Beavers held the Wildcats to 2-of-4 in scoring chances within the red zone. Senior running back Andrew Lackowski came seven rushing yards shy of the century mark and added two touchdowns at WSC. Lackowski (93), junior quarterback Jared Henning (63), freshman running back Jalen Frye (40) and freshman quarterback Alec Ogden (19) combined for 215 rushing yards. Henning and Ogden continue to rank as one of the nation’s top 10 passing efficiency offenses, ranking ninth and just ahead of Sioux Falls with a 171.75 passing efficiency. BSU’s interception was the first of the season after 101 total passing attempts. The “Gang Green” defense also ranks within the top 10 with a passing efficiency defense of 88.6. Bemidji State continues to lead the NSIC with 43.8 points per game and second with 10.6 points allowed per game. Nationally, the Beavers rank seventh in scoring offense and fourth in scoring defense. Sioux Falls moved to 4-1 overall after a 56-14 win against Minot State University last weekend. USF totaled a season-high 620 yards of offense, including a program-record 444 rushing yards and five touchdowns. Junior running back Gabriel Watson had 15 carries for 205 yards and two touchdowns, while junior Colton Myles reached 100 yards rushing for the second straight game. Junior quarterback Caden Walters directed the USF passing attack as he completed 7-of-11 passes for 163 yards and two touchdowns. Sioux Falls leads the NSIC with 302.0 rushing yards per game, including a league-best 6.3 yards per carry. USF trails BSU in scoring offense (37.6) and scoring defense (17.6) through the first five games of the season.